Sublime Homes is the premier builder of luxury homes in the Northwest Indiana and Chicagoland areas. With operations centered in St John Indiana, we build every home with such excellence and beauty as to inspire great admiration or awe. In 2011, cousins, Michael Graniczny (CEO) and Brandon Raimondi (CFO) launched our luxury home business in the suburbs of Chicago. Since then, Michael’s sister, Jacklyn Graniczny, an accomplished interior designer, has joined the Firm. This team has built a reputation for creating beautifully crafted, quality homes with a relaxed elegance that reflect our clients’ budgets, personal tastes and lifestyles. Collectively, we bring an extensive knowledge of building, a focus on stylish but practical design, expert financial analysis, a fresh outlook, and honest, timely attention to all aspects of construction management. A family tradition transcending four generations, we remain true to the standards and practices we were founded on... quality and value. With Professional integrity at the foundation of our company, our reputation has continued to flourish since 1978. We are passionately dedicated to the construction industry and the customers we serve, and it shows in everything we do. Representing more than 50 years of experience, our long history includes the design and construction of single-family homes, duplexes, apartment buildings, town homes, and commercial properties. We are also well versed in the demands of both residential and commercial remodeling. 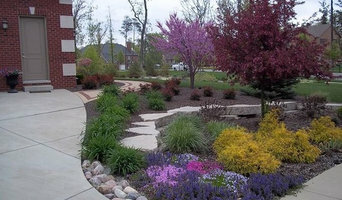 When the highest quality and attention to detail are what you are looking for in your outdoor space, count on Forest Landscaping, Inc. to provide it for you. Whether it’s creating an oasis in your backyard, putting the finishing touch on your new home, a place to practice your short game, replacing that old patio, or just updating the yard a bit, we will design and install what it is you’re looking for - even if you don’t know what that is! A beautiful, functional space is what everyone wants, and we’ve been delivering that to homeowners in Northwest Indiana and the Chicago Southland for nearly 20 years. With owner involvement in every aspect of the process, you can count on customer service that is second to none! Delighted customers are what has made Sandell Cabinets Inc. a leader in the custom cabinet industry. A family owned & operated business for over 62 years, Sandell Cabinets has earned a reputation for outstanding service, excellent craftsmanship, and unique design capability. We truly extend ourselves to meet each customer's special wants and needs. Our employees pride themselves in creating the finest cabinetry available in the Chicagoland area. Sandell specializes in woodworking & custom cabinetry of all descriptions. Located in Northwest Indiana, CK Building and Design Corporation is a group of the most highly qualified, trained and educated professionals in the building trades today. As a full-service NAHB Certified Master Home Builder (GMB), CK Building and Design Corporation demonstrates and creates a detail-rich, value driven design and efficient construction that provides home buyers with a masterfully planned and complete living environment. Newcastle Homes shows its passion for design and construction by raising homes to the level of livable art. We are a custom home builder and custom home design firm in Northwest Indiana and the Southwest Chicago suburbs. We offer custom design services and will show you amazing 3D views of your home before we start. We specialize in open floor plans that have big beautiful kitchens. Baileys Cabinets is one of the largest kitchen and bath cabinet and counter top dealers in the Midwest. Known for absolutely unbeatable prices and great service, shipping cabinets all over the USA. No appointment is necessary at Bailey’s Discount Center. 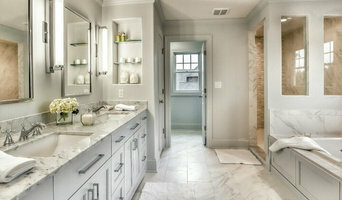 We have seven designers on staff, ready to design your kitchen or bath on the spot. That’s right! We design using high-tech computer drafting while you’re in the showroom—no waiting for phone calls or faxes, unless requested. You can have a price on our cabinets and countertops when you walk out the door. With a passion for Interior Design, experience, quality, and attention to every detail, we are sure to make your dream space a reality. With budget minded designers that listen to your wish list, we can help you to prioritize your wants and desires to ensure your project comes together as you intend. After a consultation to establish the basics, we will work together to establish designs, budgets, and timelines to final completion. Have your own Contractor? No problem. Can you connect your own plumbing? No problem. Not so handy? Also, no problem. A.J. Szam Designs has contractors and builders on call to ensure your project is completed to our high standards by the highly respected tradesmen in the area. Lets make your dreams a reality today. 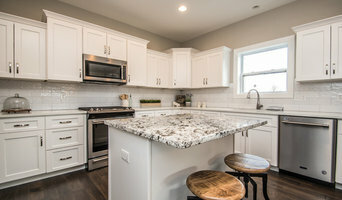 Phillippe Builders is a time-tested and trusted builder of quality, energy efficient, custom homes in Northwest Indiana and South Suburban Chicago. Phillippe Builders has proudly served our neighbors for more than fifty five years as a leading Northwest Indiana builder of custom stick-built homes, maintenance-free homes, planned residential communities, and commercial real estate. Owned and operated since 1959, Phillippe Builders has maintained a steadfast tradition of craftsmanship for three generations. Because our family is part of the community, we know the homes we build are much more than lumber and bricks. They are the places where we raise our children, celebrate holidays, enjoy simple pleasures, entertain our friends, and make memories of everyday life. For this reason, our entire organization is dedicated to crafting beautiful homes that are unique to each customer. Phillippe Builders is rooted in the traditional values of the American Midwest: integrity, commitment, and community. We believe that the principles honesty and fairness are the cornerstones of our relationship to one another. We believe in the spirit of hard work, and that a job worth doing is worth doing right. We take pride in what we do and what we build. We believe in personal responsibility—we stand by our work and our word. We believe in community, that when we each invest in and contribute to our neighborhoods, we increase our shared prosperity. Phillippe Builders participates in and supports our community. We employ local contractors and suppliers, and many of our relationships span several decades. But before you start sending out dozens of emails and making phone calls, sit down and think about your project. What's your budget? What is the scope of your project? Will you need more than one type of professional to complete your home improvement project in Saint John, IN? Can you afford to complete the full project now, or should you tackle it bit by bit? Once you've settled on your project’s priorities, budget and scope, it's time to start researching Saint John, IN home design professionals. Don't sell yourself short and settle on the first professional you set your sights on. Make sure that you're working with someone local, who can get to the jobsite easily and efficiently. Look into the person’s reviews, ask to speak with former clients and to see previous jobs in person. Take a good look at their portfolio photos: How similar are these projects to your own? Be honest — that mansion might look beautiful, but it might not have a lot in common with your little bungalow. Reach out to multiple professionals — especially for larger projects — and don't settle for the first bid you hear. Comparing multiple Saint John, IN professionals' bids and experiences can help you find the one that’s best for you. Ask a lot of questions now, so you won't have unexpected answers later. Find a home design professional on Houzz. Narrow down your search by type of professional and location. Browse Saint John, IN portfolio photos, read client reviews and contact each Saint John, IN professional for more information. Check out the information in the specialized professional sections too for tips on how to hire the right professional for your project.